Orlando, FLA (May 13, 2013) For the ninth year in a row Nautique will provide live web coverage	of the prestigious Masters Water Ski & Wakeboard Tournament via www.masterswaterski.com. This event is held at beautiful Callaway Gardens in Pine Mountain, Georgia (just outside Atlanta) over Memorial Day weekend, May 24-26. New for this year, Apple iPhone/iPad users will be able to view the live webcast of the worldâ€™s most anticipated watersports event. View all of the live action including interviews with key industry representatives, wakesurfing exhibition with the all-new Nautique Surf System, head-to-head exhibition with slalomâ€™s up and coming junior skiers presented by Oâ€™Brien and much more. The 54 th Masters live webcast will begin Friday morning at 8:00 am EST with the 21st Junior Masters. "The Masters is the greatest tournament to experience and we are excited to offer more people around the world the ability to watch the live action from their phone or tablet," stated Nautique's President/CEO Bill Yeargin. "In addition, we will be showcasing wakesurfing with the patent pending Nautique Surf System behind the industry's most innovative product, the Super Air Nautique G23," added Yeargin. An invitation to compete in the Masters is universally considered an acknowledgement of achievement for reaching the pinnacle in a given watersports discipline - only the world's most elite athletes compete at the Masters. To view the 2013 criteria please visit the Masters website. This tournament is sanctioned by IWWF/USA Water Ski and WWA. 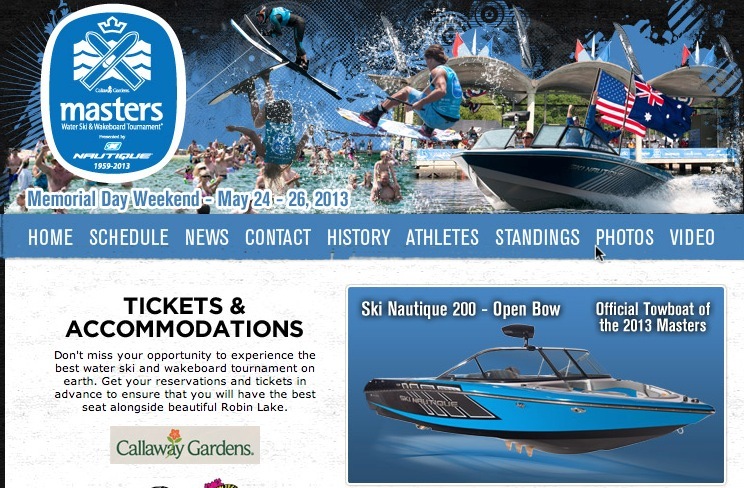 To watch all of 54st Masters action live, visit www.masterswaterski.com.